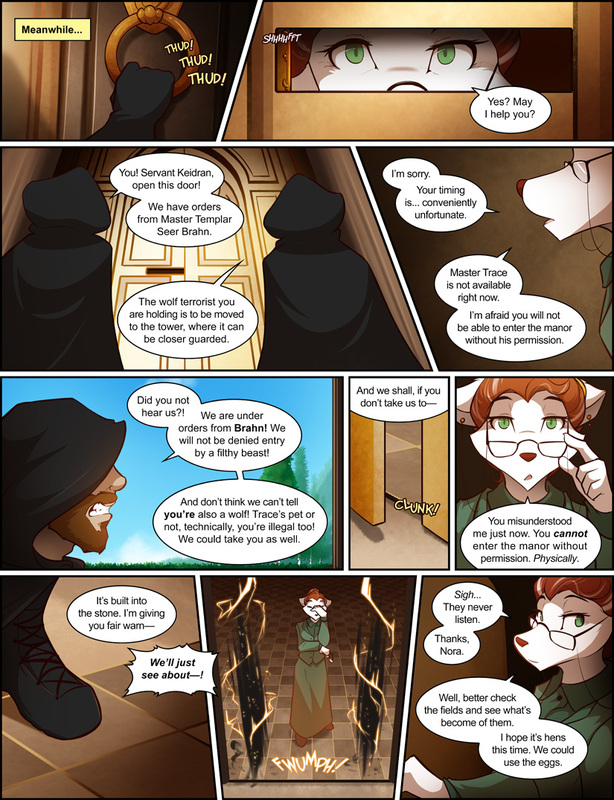 1006: Manor Defenses - Twokinds - 15 Years on the Net! Roselyn: Yes? May I help you? Templar 1: You! Servant Keidran, open this door! We have orders from Master Templar Seer Brahn. Templar 2: The wolf terrorist you are holding is to be moved to the tower, where it can be closer guarded. Roselyn: I’m sorry. Your timing is… conveniently unfortunate. Roselyn: Master Trace is not available right now. I’m afraid you will not be able to enter the manor without his permission. Templar 1: Did you not hear us?! We are under orders from Brahn! We will not be denied entry by a filthy beast! And don’t think we can’t tell you’re also a wolf! Trace’s pet or not, technically, you’re illegal too! We could take you as well. Roselyn: You misunderstood me just now. You cannot enter the manor without permission. Physically. 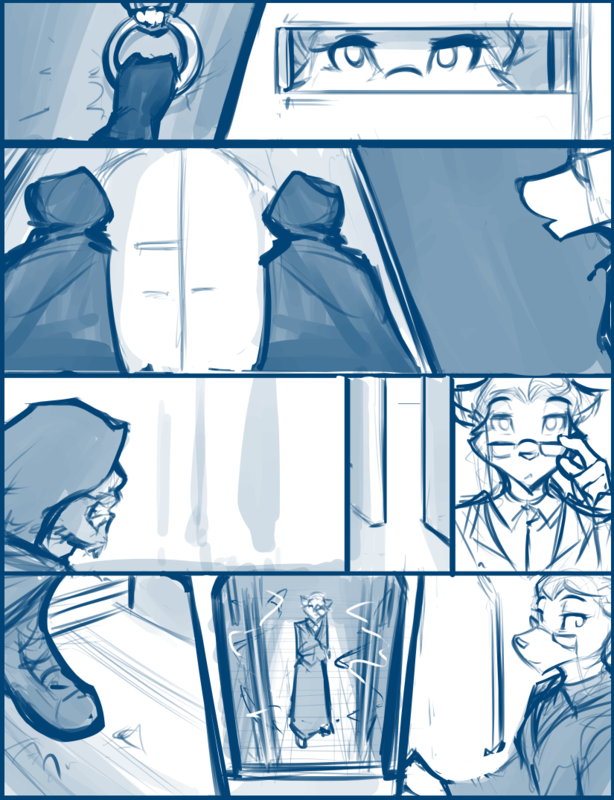 Roselyn: Sigh… They never listen. Thanks, Nora. Roselyn: Well, better check the fields and see what’s become of them. I hope it’s hens this time. We could use the eggs.